You are one of my favorite doll maker friend! I am very pleased that we met on the internet to this great world! Nice to see you're in my giveaway here! I thank you for the link! 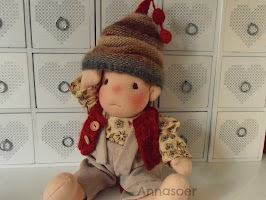 I hope we will sew quite a long time together and visit us again and again in the blog!